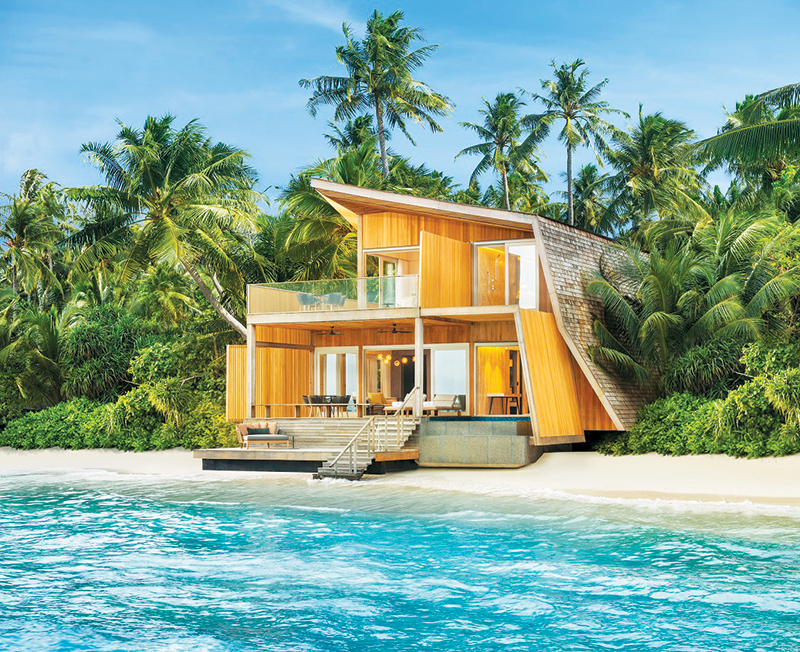 The St Regis Maldives Vommuli Resort has opened its doors, marking the debut of the St Regis brand in the Maldives. Owned by Residency Resorts Malé, the property unveils a new dimension of innovative design and tropical luxury. The opening marks the 15th St Regis resort, following destinations from Bali to Bal Harbour. Breathtaking aerial views of the 22-acre Vommuli Island, tucked into the turquoise waters of the Indian Ocean, are first to greet guests at the resort as they arrive from Malé by seaplane. The 77 island and overwater villa accommodations, each with a private pool, are peppered throughout these areas, with each offering unique activities and amenities. The lagoon boasts a water amphitheatre and The Iridium Spa; the beach area includes two signature beachfront restaurants; the jungle houses a recreational centre and a pop-up café; and the coastal zone provides a dive centre and a signature bar.